You save 48% off RRP! 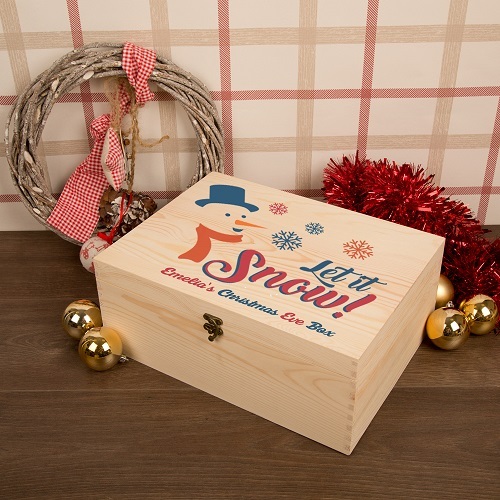 A traditional style pine wooden box finished with a UV printed vector graphic of a snowman and personalised with a name of your choosing. 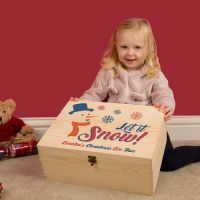 Create some magical memories with a unique, personalised Christmas Eve Box for children to keep for years to come. This traditional wooden box is brought to life with an illustrated bright attractive image of a snowman and colourful snowflakes. 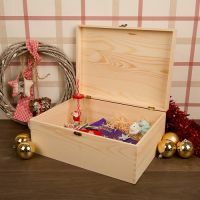 The Christmas Eve box is a new and exciting tradition that has been brought to the UK from the German tradition of receiving presents on Christmas Eve. 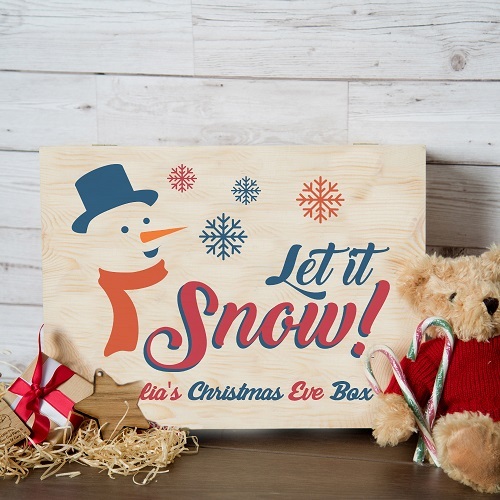 The excitement of Christmas can be embraced by a Christmas Eve box that has all the children’s essentials for the most anticipated night of the year. Help them get ready for Santa by filling this box with treats and cozy essentials. 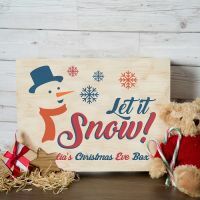 The Christmas Eve box is sure to be a favourite with everyone in the family and that is why we have brought this funky bespoke design to you. Dimensions: approx 37cm x 27.5cm x 15cm Weight (unboxed approx 830g). Please enter your child's first name into the product personalisation field provided.